Cheryln Chin is the Vice President of Global Partners at Splunk. In this role she is responsible for leading the partner organization including Channel Sales, Strategic Alliances Sales and Partner Programs, Operations and Marketing. She focuses on building revenue-generating, strategic, and integrated partnerships and alliances through channels that include Distribution, Alliances, OEM, MSP, and GOSIs. Cheryln has more than 20 years of experience leading business development, OEM sales, and professional services in the wireless and enterprise mobility markets. 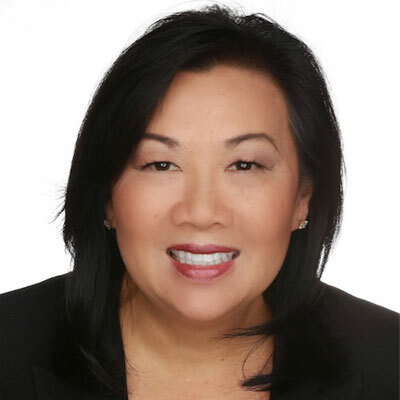 Before joining Splunk, Cheryln was the Senior Vice President of Delivery for BlackBerry where she led the pre-sales engineering, consulting services, and maintenance/subscriptions renewals for BlackBerry's software portfolio of enterprise and government mobility solutions. Prior to BlackBerry acquiring Good Technology, Cheryln managed the development and execution of operational strategy across Good Technology. Her years of experience also include senior leadership roles at Motorola, IBM, and Sun Microsystems. Cheryln was born in Hong Kong but has lived in the Bay Area most of her life. She has a bachelor's degree in business administration from St. Mary's College of California. Splunk has invested significant resources into its Partner+ Program throughout the last year, with a renewed focus on growing global talent, introducing new programs and resources to support and enable the company's expanding global partner ecosystem. In particular, over the last 12 months I helped to oversee and run the global launch and enhancement of several major programs and services within the Partner+ Program, including: Launch of the new Partner+ Portal, empowering partners to grow and manage their Splunk business from a modern, easy-to-use interface. Partners have easy access to deal registration, marketing tools, program guidelines, certification and other Splunk resources. Since the portal launch in mid-July, the new portal has had more than 18,000 user logins from nearly 90 countries. Introduction of the Partner+ Managed Service Provider (MSP) Program to streamline the partnership process for MSPs, supported by global Splunk Authorized Distributors to recruit, onboard, and manage MSPs. Enhancements to the Partner+ Reseller Program, providing a simplified and globally consistent discount structure, new and mutually beneficial rules of engagement and a simpler transaction registration process. Splunk's goal is to be the Security and IT Ops backbone for the top Global 30K, in hopes of increasing the overall percentage of company revenue that comes in through the channel. Splunk's business is dependent on a robust partner ecosystem that leverages experienced, value-added resellers, Distributors, MSP, OEM, System Integrators and Strategic Alliance Partners. With aggressive targets to increase the Splunk partner sourced business, improve partner profitability and increase the amount of net new accounts coming through partners, we enable our partners to share in Splunk's growth by rewarding them with the highest levels of margin opportunities. Sheryl Sandberg is not only a successful executive leader for Facebook but more importantly, a role model for any business leader. She paved the way for changing the dialogue about women being viewed as feminists to doing the right thing regardless of gender. I find Sandberg inspiring for her candid unfiltered voice and outspoken messages on behalf of women in business, politics and life.
. Be kind and treat everyone with respect even people you may not like them very much. The world is too small and people will resurface in your life in ways you never expected, when you least expect it. They will remember your kindness. 2. Asking for help doesn't mean you're weak. Family, friends, and colleagues can give you that advice you may so desperately need. 3. You'll never get anything you want unless at least ask for it. Be brave and have courage to take chances even if it results in failure first before learning. Learning and mastering Chinese for business is a skill I would find personally gratifying and also professionally beneficial. Understanding language is key to understanding culture and I strongly believe understanding a culture is key to understanding a market. For any company doing business in China, especially customer facing roles like sales and services, learning the language and culture would be a valuable investment in time. Taking small steps to converse with my Chinese business partners in their language would set me apart and allow me to establish deeper relationships and trust. People do more business with whom they trust. Multipliers by Liz Wiseman was an engaging and practical book that explores two different leaderships styles which can have incredible impact, both positive and negative, on an organization's profitability and culture. Having recently to heard the author speak about these leadership principles provided even more insights on how I could personally use the Multipliers approach to get more done with fewer resources, develop and attract talent, and drive new ideas and energy across my teams. This book really forced me to ask important and difficult questions of myself about how I could change mindset to become a better leader.